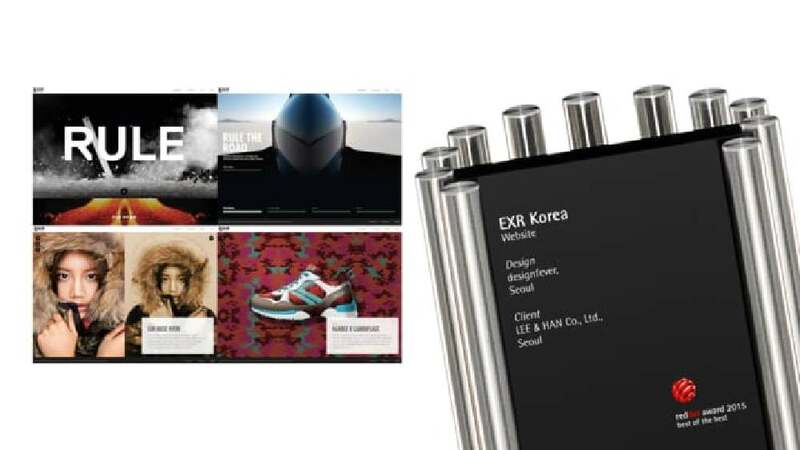 EXR Korea’s official website underwent a complete redesign for a more distinctive brand positioning of the 2015 fall/winter season, serving as a way to augment the brand’s image of uniqueness. The starting point was motorsport culture and its technology, the spirit of which is evoked by focusing on the original meaning, concept, mood and nuances behind this sport. The visual language and symbols are used to express the new brand message and serve as a visual metaphor, breaking the boundaries while introducing the stylish elegance that establishes the new brand mood. Therefore, a “Manifesto” button was created as a dynamic space that reflects the nature of the brand by combining cutting-edge technology with design, and where users may “experience” the brand mood rather than simply reading about it. Parallax scrolling allows reading the manifesto as one story, visually connecting the brand image and its messages. In addition, all the pages of the website were configured to be simple yet responsive and interactive. The website of apparel brand EXR showcases all ingredients necessary for a successful web presence. The core values of the brand are clearly presented, visualised through a typography and design that evoke an image of premium quality and excellence. Another outstanding feature is that the website holds several surprises in store and captivates visitors through the use of extraordinarily innovative image ideas.